Analyze people by reading body language and nonverbal cues. How you can use NLP for your personal, professional, and social lives. Why your subconscious mind is the most important aspect of your emotional state. The 13 NLP techniques you can use to overcome any thought and drive faster success. The nine secrets of using NLP on yourself. The six secrets of using NLP on others. Three facial expressions that give you an exact idea of how anyone is feeling. In today’s world, it seems like it is becoming ever more important to figure out how to laugh. Society today seems always to be so serious and doesn’t make time for the most important things - like laughing with your friends and family over a few good jokes. 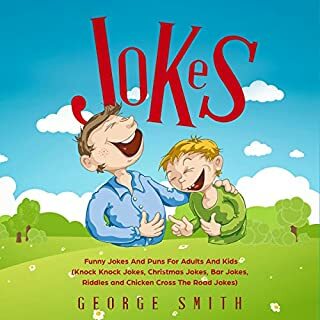 So make your life more enjoyable and dive into jokes you haven’t heard of before! 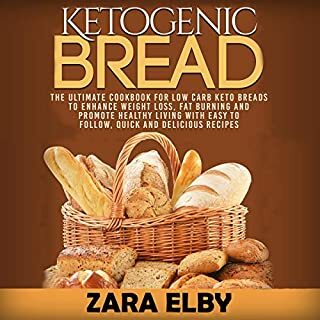 Ketogenic Bread: The Ultimate Cookbook for Low Carb Keto Breads to Enhance Weight Loss, Fat Burning and Promote Healthy Living with Easy to Follow, Quick and Delicious Recipes! While it is common knowledge that a ketogenic lifestyle is beneficial for health and wellness, it can still be hard adjusting and restricting your diet. Our book, Ketogenic Bread, offers a huge variety of bread, bagel, bun, muffin, cracker, breadstick, and pizza crust recipes that are all in line with the ketogenic diet. There is no need to miss out any longer! 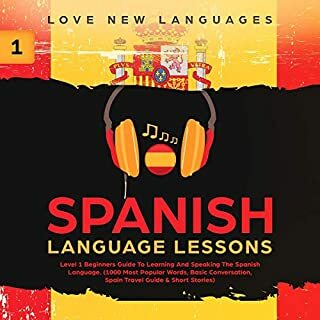 Whether you’re planning on traveling to Spain or just want to learn another language, this audiobook guides you toward learning a basic to intermediate level of Spanish. With technology growing at a rapid pace, it's difficult to keep up with the latest trends and become a savvy tech user. 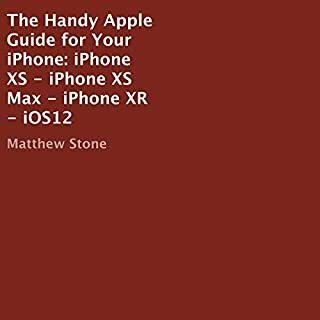 However, with this guide, one that's been written by young experts who have added quality information, clarity, and syntactical aspects, you can expect to not fall behind. Are you struggling to find the light at the end of the tunnel? Are you even aware that you can actually turn whatever negative thought you have in your mind into a positive one instead? And better yet, kill any bad thought that crosses your mind? No matter what your thoughts are there is a way to change those thoughts for the better. NLP explores the relationships between how we think (neuro), how we communicate (linguistic), and our patterns of behavior and emotions (programmes). The idea is that, by studying NLP people can adopt more successful ways of thinking, communicating, feeling, and behaving. 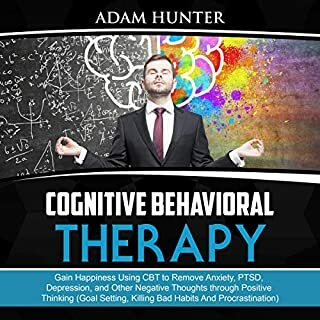 On top of that NLP destroys any limiting belief you have, making this a book for people who want to seek a happier, healthier, and more prosperous life or in one word: SUCCESS. Every successful person uses NLP and some don’t even realize it. It is those who are able to control how they feel about something for the benefit of their life who succeed in today's world. You may ask, “How can I possibly maintain positivity throughout my whole life?” and the answer is you can’t. But what you can do is shift your mindset in a way where you forget about negative thoughts or instead turn them into positive ones. The incredibly clever approach to listen. The incredibly clever approach to listening the book in story format is highly engaging and fun to read. I bounced through it quickly and effortlessly. It's pretty high level so if you're already and NLP expert, you may not get much out of it, but if you want a good intro, this is a great place to start. Highly recommended. I found this book to be immensely practical. I found this book to be immensely practical. The techniques presented are easy to use and can be implemented immediately. I also found them to be highly effective. The author describes how to read. The author describes how to read and work with people's emotions, psychoanalysis of their deportment, how to learn how to manage people in conversation, types of people and many other germane information. This book discusses well the NLP. This book discusses well the NLP. It contains lots of information that you should needed to ken. I relish how this book explicates everything for me to ken more about it. This book is well explained and very useful. 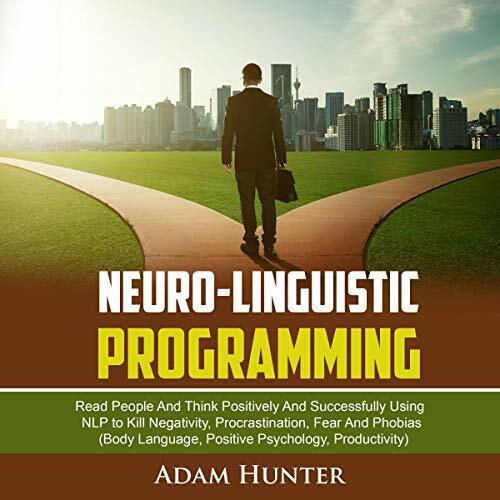 This book is well explained and very useful for those who are looking for a quick start guide in the wonderful world of Neuro linguistic programming. 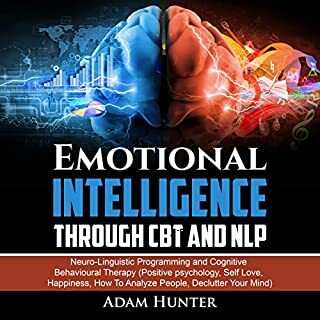 If you are looking to understand the most important fundamentals of NLP then you will benefit from listening to this great book by a great author. A very helpful guide for NLP. A very helpful guide for Neuro Linguistic Programming. The book has a clear step-by-step guide for creating supreme resource states and very useful tools and techniques that will enable you to achieve good results. Great book! A clear and well-explained guide. A clear and well-explained guide. Well worth listening, whatever your opinion of NLP and other systems intended to help you live a happier and more successful life by controlling your mind. I'd say this one has it all. I'd say this one has it all. It's really well structured and provides a fantastic overview of NLP. This audiobook is lucid and easily understood, even though there are some heavy concepts that are being dealt with. Highly recommended for those interested in expanding their consciousness and learning more about human interactions and psychology. The author has created a longer book, offering further information for those who wish to add to their knowledge of this subject. I recommend this short guide to anyone who wishes to learn what NLP is or wishes to put some of the techniques in practice immediately. Definitely a five-star effort.